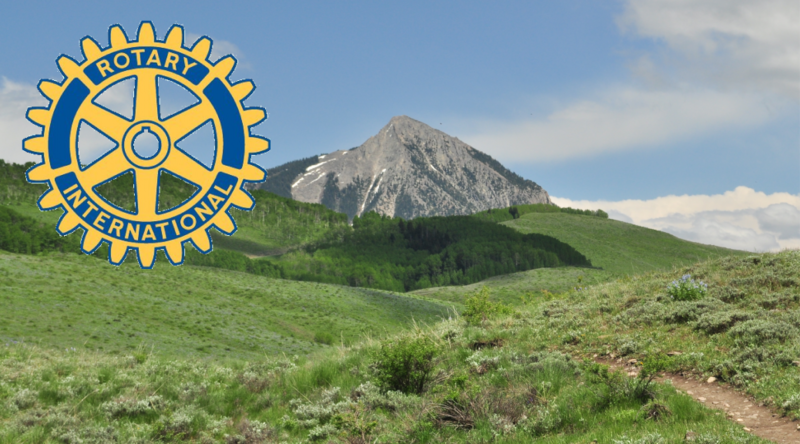 Thank you for your interest in the Rotary Club of Crested Butte / Mt Crested Butte Community Grants Program. Every year, the Rotary Club provides several grants to very deserving nonprofit service organizations and public schools in our communities. Please review these application instructions carefully and contact us if you have any questions. The Rotary Club endeavors to give priority to charitable 501(c)(3) nonprofit organizations and public schools in the north end of the Gunnison Valley, but grants are not limited to such organizations. If a program, project or service is valley-wide, Rotary will encourage the requesting organization to seek funding from the Rotary Club of Gunnison as well. Project and/or service must address a local need, be available to the community as a whole and/or target a specific in-need segment of the community. The higher the number of people served, the better. The Rotary Club prefers to provide seed-money for new, unique and innovative projects and services or for the purchase of specific capital assets. The Community Grants Committee applauds opportunities for matching grants although the Committee will not take responsibility for monitoring, tracking and auditing to assure grants are matched. Organizations are encouraged to apply in the category that matches their primary mission statement or the primary purpose of their community service/project. Organizations may only receive one grant during the Rotary Club’s fiscal year, September-August. An Organization IS NOT REQUIRED TO PRESENT THEIR APPLICATION BEFORE THE ROTARY CLUB. If they do, they will not gain any advantage over organizations that do not. Recipients of Rotary Grants are required to announce, advertise, or otherwise publicly recognize Rotary as a donor. A representative of the grant recipient must make a presentation at a Rotary meeting regarding the expenditure of grant funds they received and the results of the project upon completion of the project. Presentations need to occur no later than the application deadline for the next grant cycle. Please submit your grant application by email in PDF format to grants@crestedbutterotary.org by the due date. Decisions not to fund particular applications are more likely to result from limited resources than to reflect upon the merits of the applicant or the worthiness of the proposal. NOTE: Any information provided in the grant application may be used in Rotary press releases, reports, research or other published matters unless confidentiality is requested in writing.